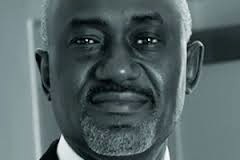 Gbenga Oyebode MFR has been described by International Financial Law Review IFLR 1000 (the guide to the World’s leading Financial Law Firm) as ‘one of Nigeria’s most prominent Lawyers’ and by Chambers Global as a ‘consummate deal maker who has received pundits from clients and peer alike for his corporate expertise’. Mr. Oyebode is a Barrister & Solicitor of the Supreme Court of Nigeria (admitted June 1980) and an Attorney-at-law of the Supreme Court of New York State (admitted November 1983). He is a member of the Nigerian Bar Association and the American Bar Society of International Law. He holds a Master of Laws from University of Pennsylvania, Philadelphia (1982) and a Bachelor of Laws degree from the University of Ife (1979). Gbenga worked as an Associate with White & Case, New York between 1982 and 1983. He joined Gulf Oil Company, Lagos and Houston between 1983 to 1985. Was a partner with the law firm of Ajumogobia, Okeke, Oyebode and Aluko [Barristers, Solicitors and Notaries] between 1985-1992 before he became the Managing Partner, Aluko & Oyebode in 1993. Gbenga has also been involved in the negotiation of complex commercial agreements for a wide variety of transactions and is a Fellow of the Chartered Institute of Arbitrators (UK) (FCIArb). He was conferred with one of Nigeria’s highest honours, the Member of the Order of the Federal Republic of Nigeria (MFR) in the year 2001. He was also conferred with the Belgian Royal Honour of ‘Knight of the Order of Leopold’ in 2007. He is the Chairman, Okomu Oil Palm Plc and also serves on the Board of MTN Nigeria and Crusader Insurance Plc. Mr Oyebode is also the Chairman, Access Bank Plc. Forbes described Gbenga as one of Nigeria’s most renowned commercial lawyers and stated that the value of his shareholdings is worth tens of millions of dollars. Legal Issues in Oil & Gas Project Finance. Petroleum Exploration and Development in West and Southern Africa (Legal Perspectives: Anglophone Countries). Ownership and Control Issues regarding Oil & Gas and Hard Minerals in Areas of Disputed Borders: A West African Perspective. Project Financing in the Nigerian Petroleum Industry - The Oso Condensate Project.